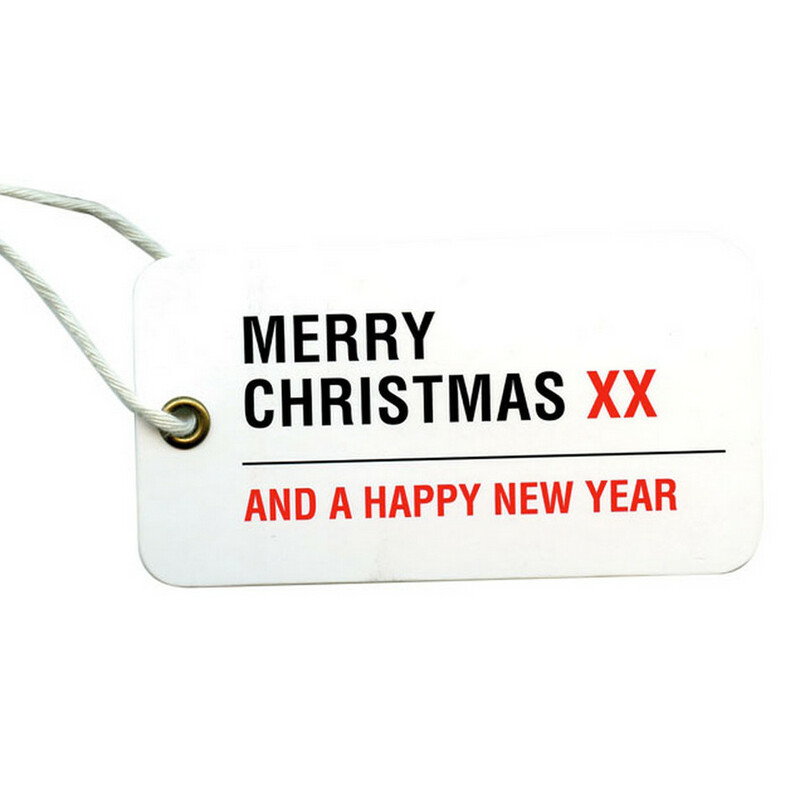 These London street sign gift tags feature the words 'Merry Christmas and a Happy New Year'. The iconic design of the tag makes for a super addition to gifts of all style - vintage or contemporary. With a metal reinforced eyelet and hung on rustic white string, the design is printed on good quality 300gsm card on one side, which allows for your own message to be added on the other. Select from a pack of 5, 10 or 25 according to your needs.